Rob Ward, Co-founder Annex Products, turned a genuine consumer pain point into a successful Kickstarter campaign and now into $9million dollars in sales with a 5 person team. 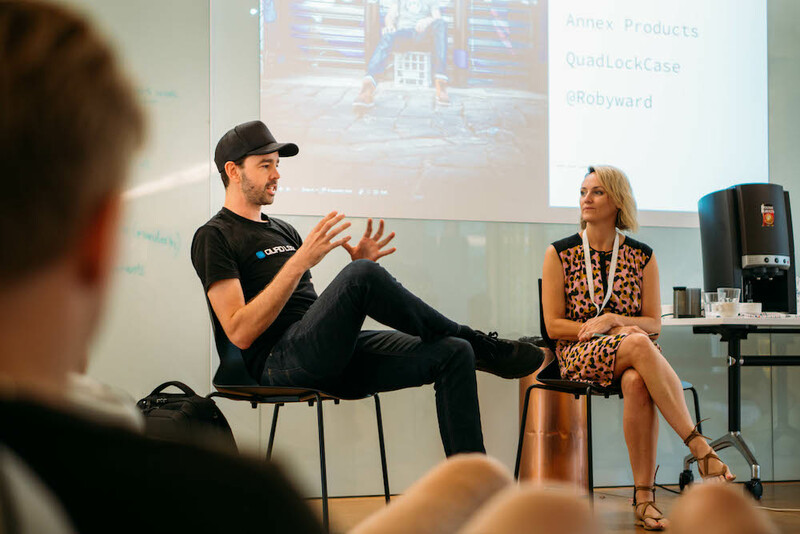 Rob came to our campus to share the insights behind his success with our students and we condensed it into 5 tips for how to think about your startup. In 2010, Rob and his co-founder Chris, an avid cyclist, wanted an easy way of getting around Sydney using Google Maps on their iPhone. Unfortunately there was no easy way of doing this while riding, so an opportunity was born. While they have a sleek and high-quality product now, Rob was pragmatic about product development. He told our students to experiment with little projects and ideas before you go ‘all in’; test and learn. Their first product was the Quadlock – a bottle opener on the back of an iPhone. Through the testing process, the idea for a small consumer product that is scalable and able to be shipped around the world began. Then once they found success in their niche, they diversified. Rob and Chris secured their initial funding through a successful Kickstarter campain. This was in 2011 before it was a known entity, so they had to explain to their audience what Kickstarter was as well as talk about their product. In two weeks they managed to double what they expected to raise, securing over $40,000. Despite that initial influx, they knew they had to maintain momentum in sales to survive. After getting started they worked hard to maintain a savings buffer, not paying themselves, instead reinvesting in the business for around six months until the business began self-funding. This momentum was particularly important in the beginning, because the cost of developing the first product was expensive. They knew they had to increase sales to reduce the cost per unit. Trying to get manufacturers to accept their small quantity orders was difficult in the early stages of building the business. They manufactured in China and the Minimal Order Quantity (MOQ) wasn’t an cost effective proposition for factories. Rob recommended using sourcing agents. They act on your behalf and use their established networks to influence factories to accept lower volumes. This pressure helped Rob and Chris focus on increasing sales to overcome this issue. As they started ordering larger and larger volumes, the risk was lowered for the Chinese factories who were more comfortable with working with them. One of their first successul marketing tactics was developing a video of their product to help people understand how it worked and the value it provided. They used it as part of their Kickstarter campaign and they continue to use video to bring their product to life – Facebook even used it as a case study. The key to a great video was the first 1-2 secs of video to capture engagement. They also tested lots of different avenues to reach and build an audience. They would undertake lots of small quick tests, then tweaked and iterated. 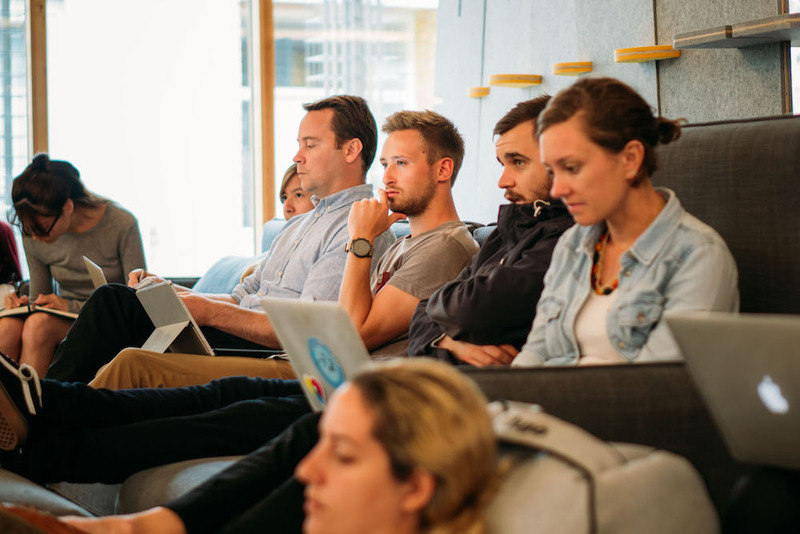 Testing and learning isn’t limited to product development, it’s also how you can think about your marketing. To date Facebook has proved most effective for sales conversions, so they’re listening to the data and investing heavily into it. To know what messages they needed to deliver through these channels, they listened to their customer. They understood what was important to them and what they wanted to know about the product, then they delivered it as clearly as possible. But don’t expect to make the sale on the first click-through, you’ve got to follow and nurture the journey. Today, with $9 million in sales Annex Products only has a five person team. Even in the early days, Rob and Chris didn’t hide the fact that they were a small team or pretend to be bigger than they were. They’ve maintained a philosophy of getting to the point where their work surpasses their capabilities and only then did they hire. Being authentic and transparent was a lesson they’ve double-downed on after a failed partnership with a 3rd party. They partnered with a distribution partner they thought was going to help them take their business to the next level. They said all the right things but it turned out they were less experienced than they said they were and underprepared to handle the partnership. Their saving grace was that Rob and Chris maintained direct sales through their website, so they had other revenue channels. They’re now more adamant about anything that influences the success of the business will be dealt with internally and they need a strong capable team to deliver that. Hear more from Rob on Instagram and Twitter.